IKARIA (ICARIA). 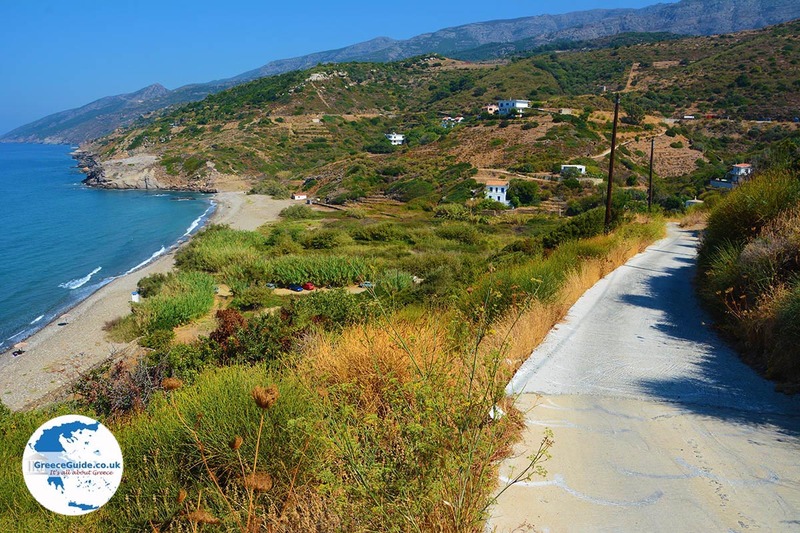 The island of Ikaria is called Nikaria by locals. It is an elongated mountainous island in the western Aegean sea. The length of the coastline is just over a hundred kilometres. 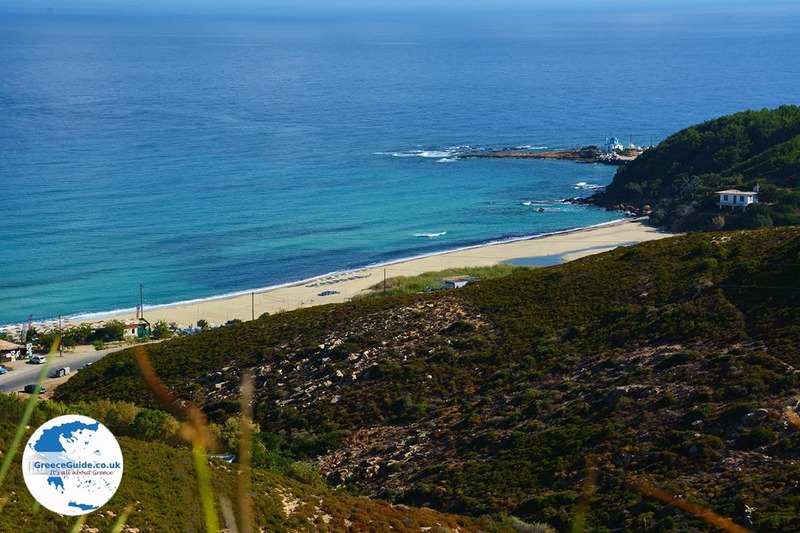 Ikaria has recently been in the news because a study by scientists has shown that people live longer here than average. Ikaria is one of the "Blue Zones" which include five areas in the world where people live longer than anywhere else!The inhabitants on average live 10 years longer than other Europeans. This has to do with their living and eating habits. 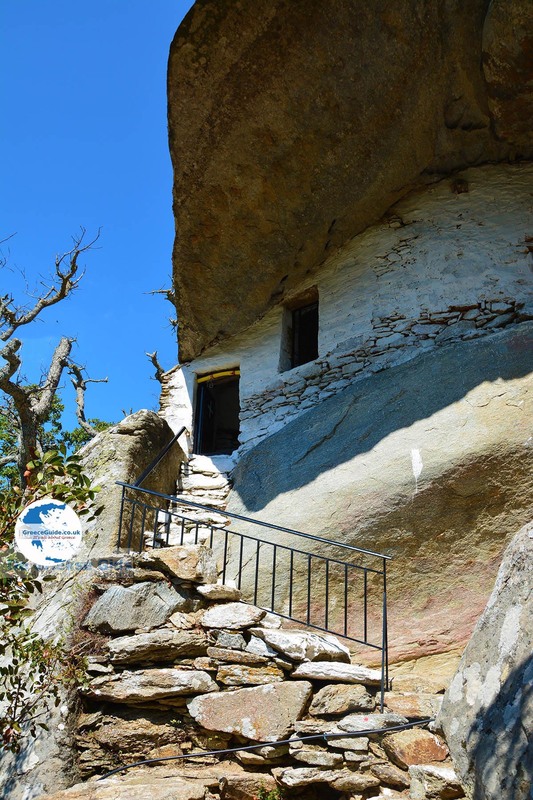 The highest point of Ikaria is Atheras (1037 meters), the second highest peak is Ammoudia with 913 meters. The mountains run across the length of the island, separating it between north and south. The northern part is flatter and has a gentle slope to the sea. This is also the most fertile part of the island. The southern part is much steeper. The eastern part of the island is from ancient times known for its hot springs. The nature of the island is varied, it consists of green valleys and barren cliffs. 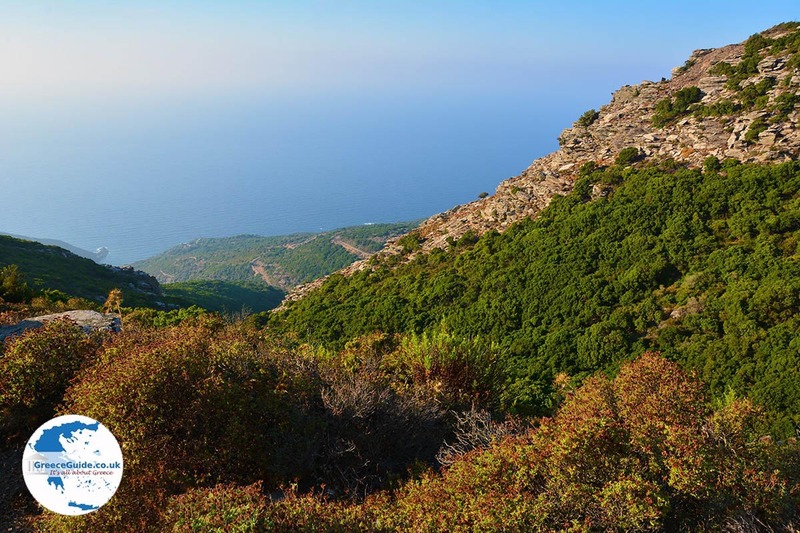 On Ikaria are many pine forests, in the west is the forest "Randi," one of the most rare prehistoric Mediterranean forests. Most of the villages of Ikaria lie on the mountain slopes. It has to do with the pirate attacks that took place in the Middle Ages. The inhabitants for their own security built their villages in higher areas. 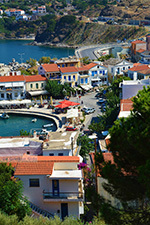 The island's capital is Agios Kirykos, which has about 2,000 inhabitants. 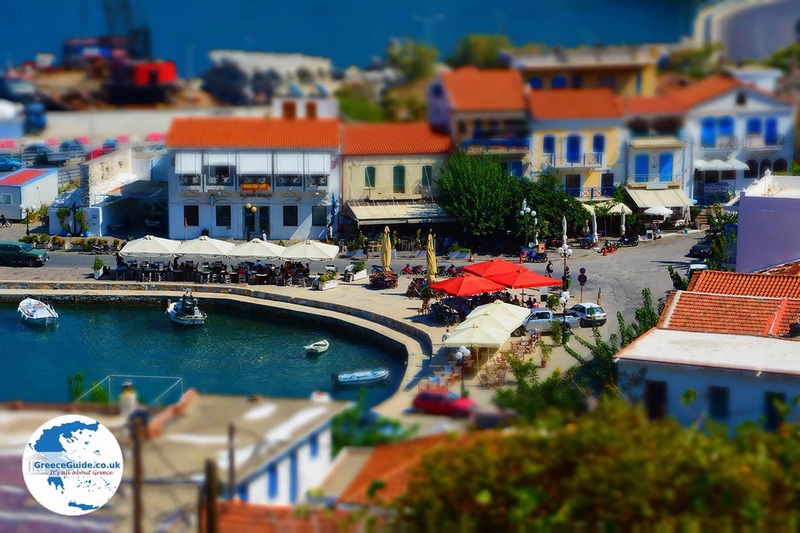 Here is also the main port of Ikaria. It is a traditional town in a bay with lots of greenery and lovely old neoclassical buildings. Here are some beautiful churches and there is a very interesting Ethnological museum. 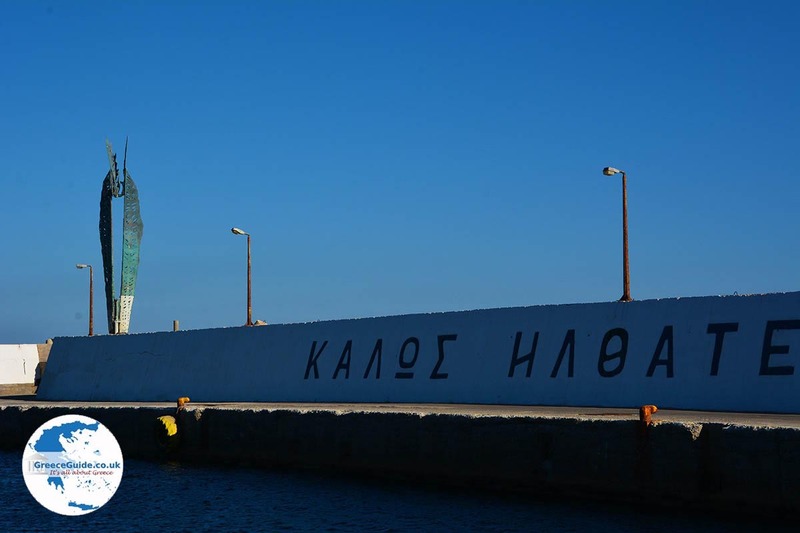 In Evdilos is the second largest port of Ikaria. 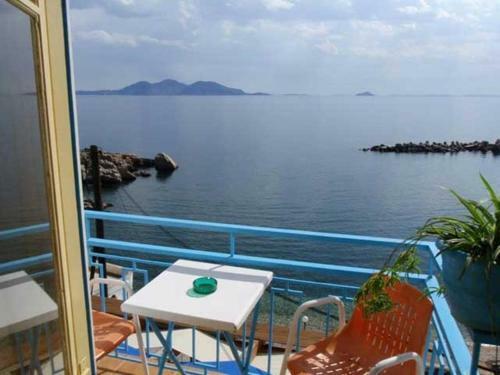 This is centrally located in the north of the island, about forty kilometres northwest of Agios Kirykos. To cover this distance, you need more than an hour, because it is a road full of curves. 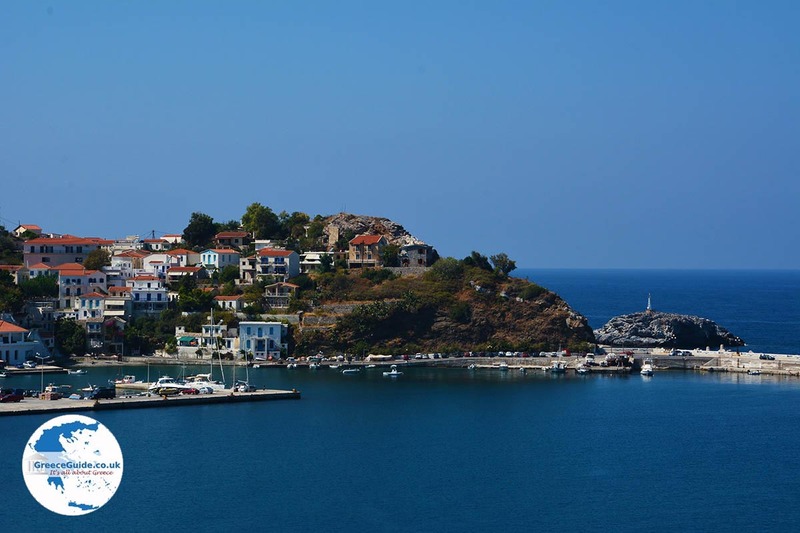 Evdilos is a picturesque fishing village with a harbour, beautiful houses and narrow alleyways. There are lots of good tavernas and cafes. West of Evdilos are the small resorts Nas, Armenistis, Gialiskari, Mesakti and Avlaki. The most busy one is Armenistis, it is a lovely picturesque village. The others are quiet villages with nice sand and pebble beaches. At Nas are the ruins of the ancient temple of Artemis. Gialiskari is a small fishing port surrounded by pine forests. 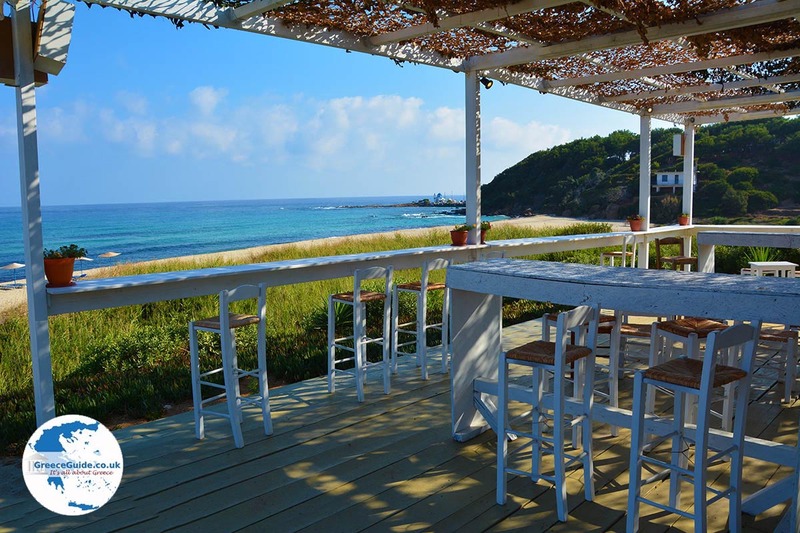 In Gialiskari and Mesakti are the better beaches of Ikaria. 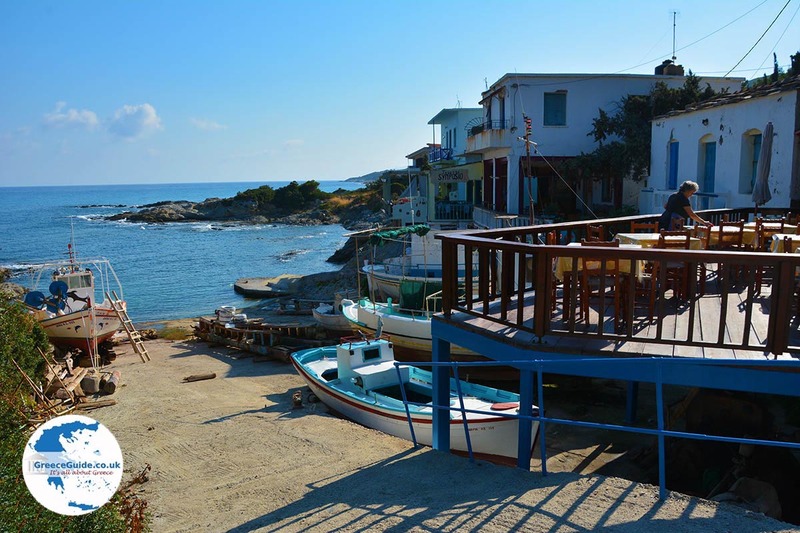 Also Avlaki is a small fishing village and it has a harbour where fishing boats moor. 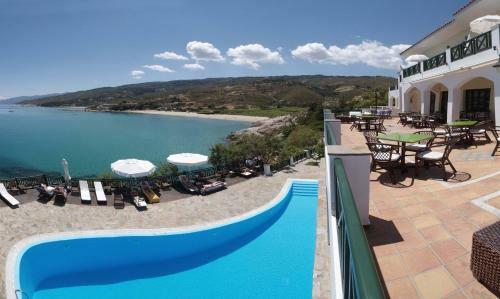 Therma is located three kilometres from Agios Kirykos and is best known for its hot springs. At Faros, on the flat countryside in the northeast of the island, are the ruins of an ancient temple that was dedicated to demigod Dionysus. 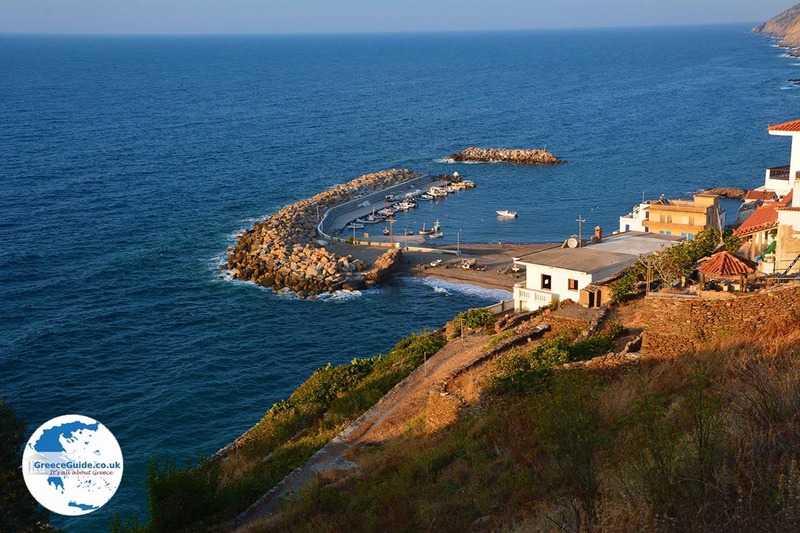 Karkinagri is a notable fishing village that is very isolated in the southwest of the island. You can reach this village by boat from Agios Kirykos or Manganitis. 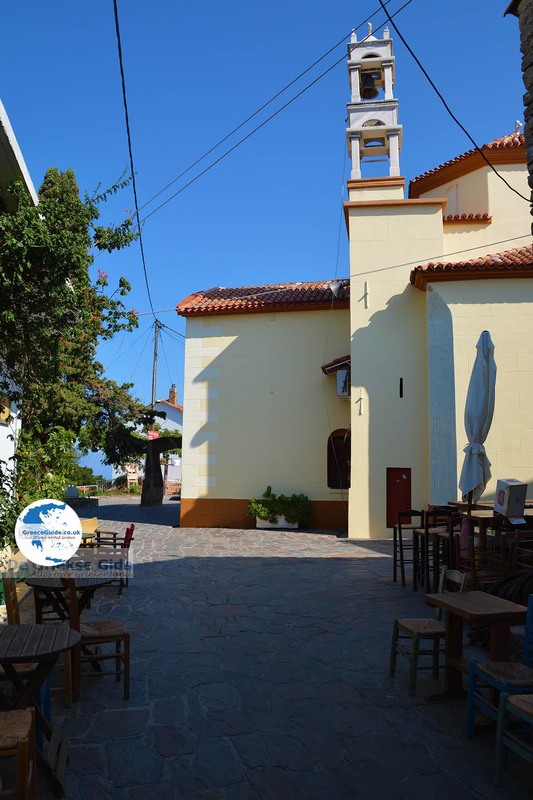 Karkinagri is a traditional village with a number of seafood restaurants and cafes. There are also some rooms for rent. In ancient times, the island was called Makris and Dolichi. The current name has been given to the island from Greek mythology and the myth of Icarus, the son of master inventor Daedalus. Daedalus made ​​wings of feathers, he wanted to let his son escape from the labyrinth in Crete. However, when Icarus flew too high, the wax melted and he fell into the sea. Since then, the island is called "Ikaria". In ancient times Meletgians lived here, later, after wars, the island was occupied by the Persians. Ikaria made ​​a covenant with the powerful Athenians, but in the year 133, the island was occupied by the Romans. During the Byzantine period prisoners were brought into exile. In the year 1484 the island was occupied by the Knights of Rhodes. In the year 1521 came the Turks who remained for four centuries on the island. 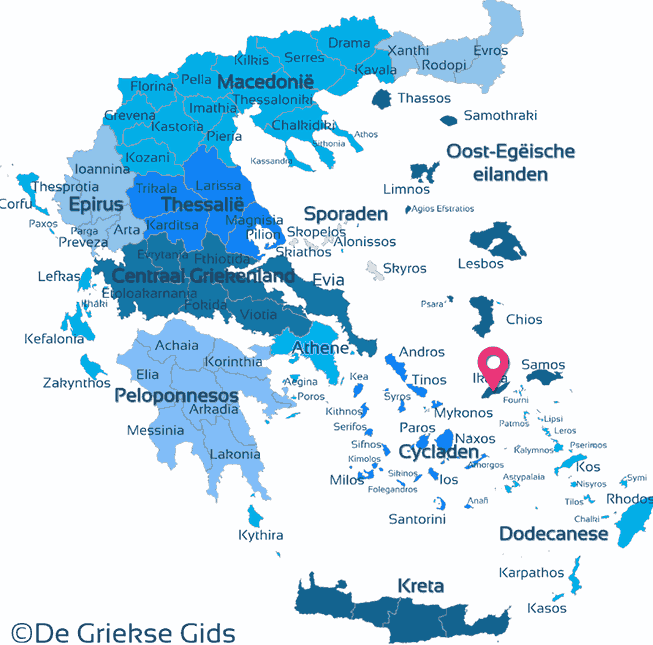 Finally Ikaria was liberated in 1912 and since then it belongs again to Greece. Ikaria has a tradition in cultivating a special, strong, red wine which was already mentioned in the books of Homer and a tradition to live very relaxed lives. Because the island was quite remote from the rest of Greece, it has kept his own old habits. Not only the dialect that people speak is different but also the way of life, compared to other islands. In the mountainous village Raches, residents seem not to use a clock. 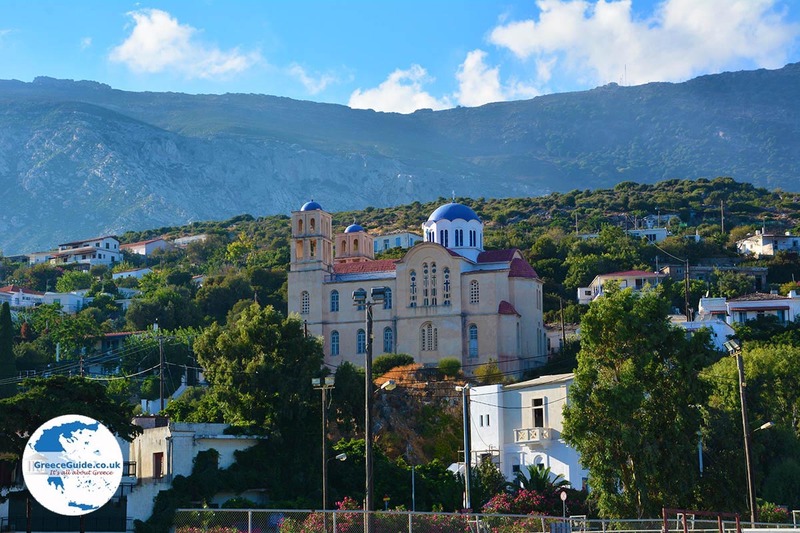 Raches is also called the "slow city" of Greece, people live here especially at night. Time has no meaning here! Life goes on into the night as if it were day. Shops are open late at night. You should not be surprised here when at seven o'clock in the evening, the town square is abandoned and at 2.00 am it is full of people. 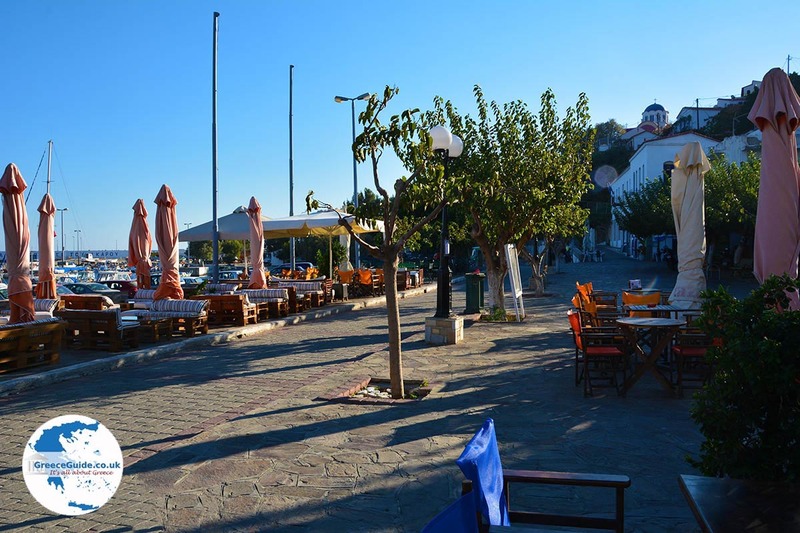 The tavernas have weird opening hours, so they can be closed at 8.00 pm and opened at 4.00 am. This tradition arose because of the fact that once people had to work elsewhere on the island, there were no cars, so they had to travel by donkeys. After finishing their work late in the evening they returned to their homes often after 10.00 pm. Because all of them came back so late, the custom originated that shops, cafes and restaurants, stayed open later to give them the oportunity to do their shopping. 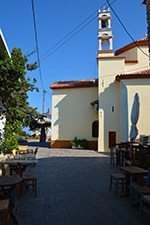 Agios Kirykos, Ikaria's capital. Agios Kirykos is amphitheatrically built against a green hill. 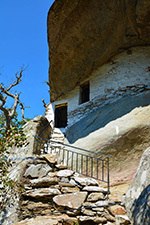 The church of Agios Dimitrios and behind the secret entrance to the cave. 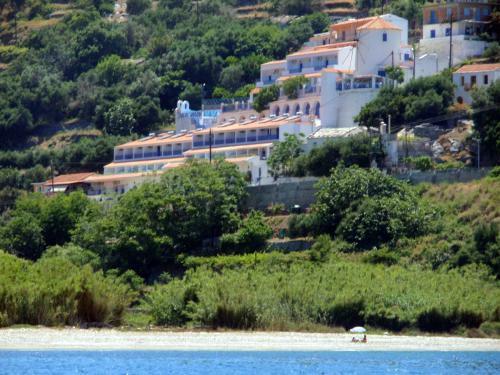 The beaches of Xilosirti, Anemomilos and Lefkada. On July 17, the Liberation Day is celebrated. 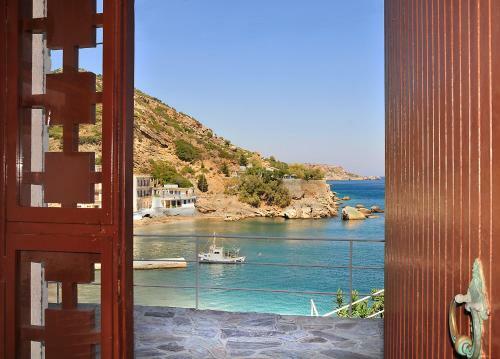 How to get on Ikaria? Ikaria is accessible by boat and by plane. 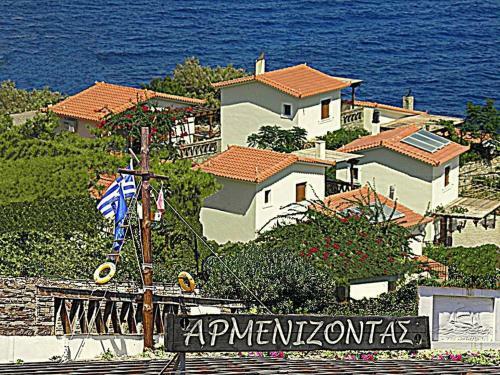 Ikaria is located about twenty kilometers to the west of the island of Samos. Via Athens airport you can be fly to Ikaria, only with smaller aircraft. Ikaria is connected by ferry with the ports of Piraeus (Athens), Samos, Fourni, Chios, Lemnos, Lesbos, Paros, Naxos and Kavala. 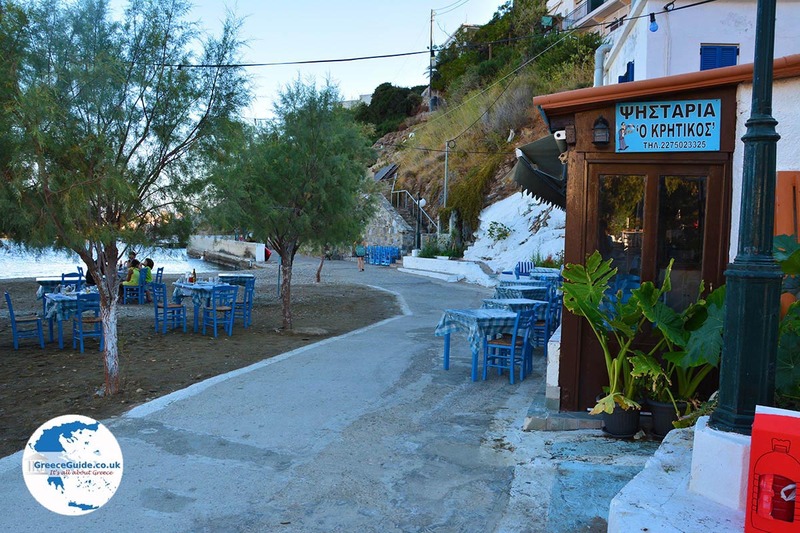 Ikaria: Where on the map is Ikaria located?